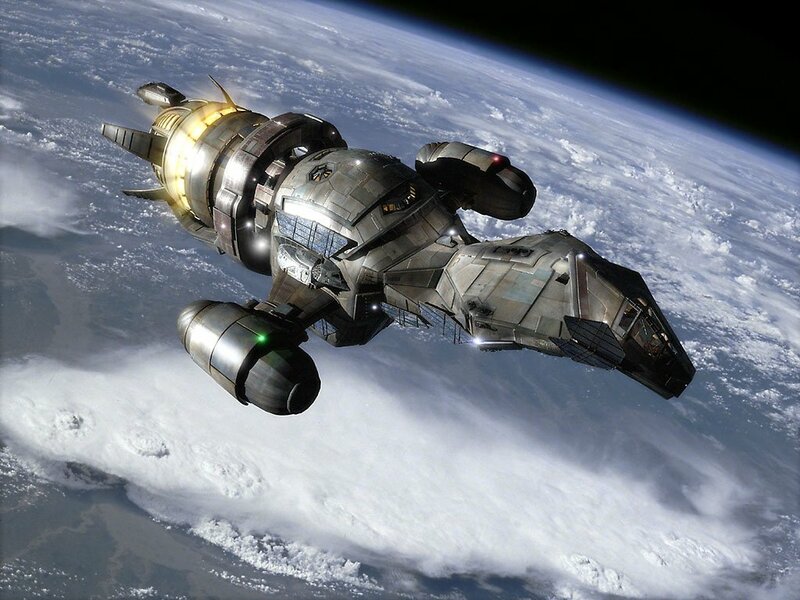 Like many engineers, I dream of making the fantastic ships and spacecraft of classic science fiction a reality. Take, for example, the simple concept of leaving Earth itself. Space is only 100 kilometers (about 62 miles) away. Your average automobile, which uses principles of internal combustion largely unchanged for over a century, can cover that distance five times over. Turn that 100 km on its side, however, pointing straight towards the sky, and suddenly, things get much more complex, almost to the point of getting out of hand. Terms like “expendable launch”, “cryogenic tanks”, “reusable stages”, and “orbital refueling” get thrown in, jumbled around and re-arranged to try to manage energy and cost. Even the most advanced launch vehicles in the world, like the Falcon 9 and the Falcon Heavy, even if both vehicles become completely reusable, are still at the end of the day vehicles the size of skyscrapers used to cover one-fifth the distance that a Ford Focus can before its house-size fuel tanks are emptied. This is why, unlike most people who are fascinated by exotic hyperspace engines and warp drives, as an aerospace engineer, I’m honestly more attracted and interested in the comparatively more mundane features of these ships. Sure, I’m glad the Millennium Falcon can make the Kessel Run in 12 parsecs and all, but I’m far more impressed that it’s able to lift off of a planet and land on another one without stopping to refuel. Which brings me to the real star of our favorite cancelled sci-fi western television series. You see, while most popular sci-fi franchises will gloss over their faster-than-light drives with technobabble, their sublight counterparts (i.e. “thrusters” or “impulse engines”) get a wave of the hand, at best– except for Serenity, that is, which has a surprisingly detailed in-universe explanation of how a jet turbine engine can work in the vacuum of space– one that not only actually jives well with known science, and is more plausibly science-based than any other fictional ship, but is also actually close enough to reality to the point where you and I may live to see it. CRS-3 Launch Delay– Scrub Happens. Zoe: Sooo… not running now? Mal: Not so much… But she will. Scrubbed launches and launch delays are just a fact of life in the space industry. Spaceships are complex vehicles that rely on a lot of intricate mechanisms to function properly, and if any one of those systems, no matter how small, isn’t in perfect working order, it can spell disaster out in the black. We fans of science-fiction have become accustomed to the portrayal of spaceships like Serenity or the Millennium Falcon as the “lovable bucket of bolts,” but the truth is very far from what Hollywood has sold us, and when dealing with a real space launch, if there is even the slightest chance that everything isn’t absolutely perfect, then safe is better than sorry. And so SpaceX’s CRS-3 resupply mission to the International Space Station was delayed yet again today. This time the launch of the Falcon 9 rocket that was to carry the Dragon capsule to the ISS was scrubbed due to a first stage Helium leak. SpaceX expects to have the problem rectified in time for the next launch opportunity, which will be Friday, April 18 at 3:25pm EST.